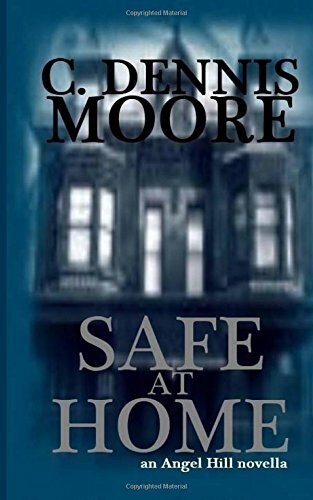 C Dennis Moore’s Safe at Home begins when twenty something Jim and his high school girlfriend Monica are just moved into a charming, third floor flat in a protected structure where they are anxious to begin their life together. Monica Ellen and Jim Bryson assure their parents that the building is safe, after all only those who have a key can get into the building. Although Jim finds adjusting to living with another person is a little more problematic than he had imagined; on the whole everything is going pretty well at first. Monica works part-time while she also attends classes. Jim works at Burger King and often listens to music during the afternoon while he waits for Monica to come home. The pleasant, calm life the pair are fashioning for themselves will soon not remain quite so peaceable. Fellow tenant, Roger Weinstein, is found dead, murdered, leading to police being called. Due to the fact that the security lock on the front door coupled with the fact that Jim was the only one in the edifice who couldn’t verify his whereabouts at the time; leads others, especially the police, to wonder about him. Police are called again when ageing Emma Shamburg is murdered next; and again Jim cannot establish a alibi. Jim is disheartened to find himself again the object of interest for a resolute homicide officer. As the investigation continues, tension begins to build between the two young people. Monica learns the heating vent carries conversation from one story to another. Jim is a tad startled when he realizes the door to a rearmost storage room cannot really be secured against uninvited interlopers. Adding to the growing angst is an almost concealed opening marked ‘basement,’ a haunting musical strain produced by Banded Boss, a none too popular group, in addition to a bizarre, unidentified, late night pillager who tosses Jim’s load of just washed clean clothes all over the laundry room. Wherever Jim turns the Bonded Bass refrain seems to be present. Jeopardy, perplexity and absolute lethal intent all dog the young man’s steps. Eventually Officer Grawbadger turns his attention elsewhere, the murders are solved, and, Jim and Monica move. The young couple weds, welcome a baby Samuel and life is good. Time marches on, Jim’s new work situation is much better than was Burger King, and a new baby is on the way when Jim notices a green van parked in an alleyway. Four-year-old Samuel comes into the house humming a haunting refrain. Safe At Home is the account of youngsters growing up and beginning to take their place in the adult world. Moore sets his scene with an adroit choice of words. Well drawn, credible characters come alive under the clever pen of this author. Nineteen-year-old Monica is a typical girl attending school and working part-time, while the somewhat older Bryson is a normal young man with a low-key job. This is one of the foremost draws of the book; most of the world is made up of rather average/normal people and the reader is hooked right into the account by identifying with the characters. Main characters Jim and Monica are set against a framework of attractive settings, resonance, and associations in this gripping tale. Safe At Home, hooks the reader into the action from the opening lines and carries the reader along on an progressively risky ride right to the last paragraph. Spine tingling action, convincing dialog, agreeably mystifying anxiety all flourish in this chronicle shaped with clever skillfulness. While I like mystery, when I first accepted this review request for a 21,000 word suspense novella, I wasn’t certain I would enjoy the read. Moore is a well-known writer of horror, and the book was presented as a horror. 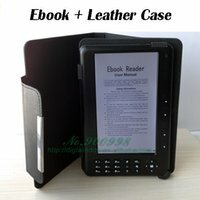 I don’t care much for the genre, even though I have reviewed some now and then. Moore has created a nail biter of a read that is more of a suspense-filled thriller than horror, and I can say I wholly enjoyed the read. Safe At Home is not a work to be read on a dark and stormy night. The wise reader will watch for the curves and spins or you may come up surprised by the ending.